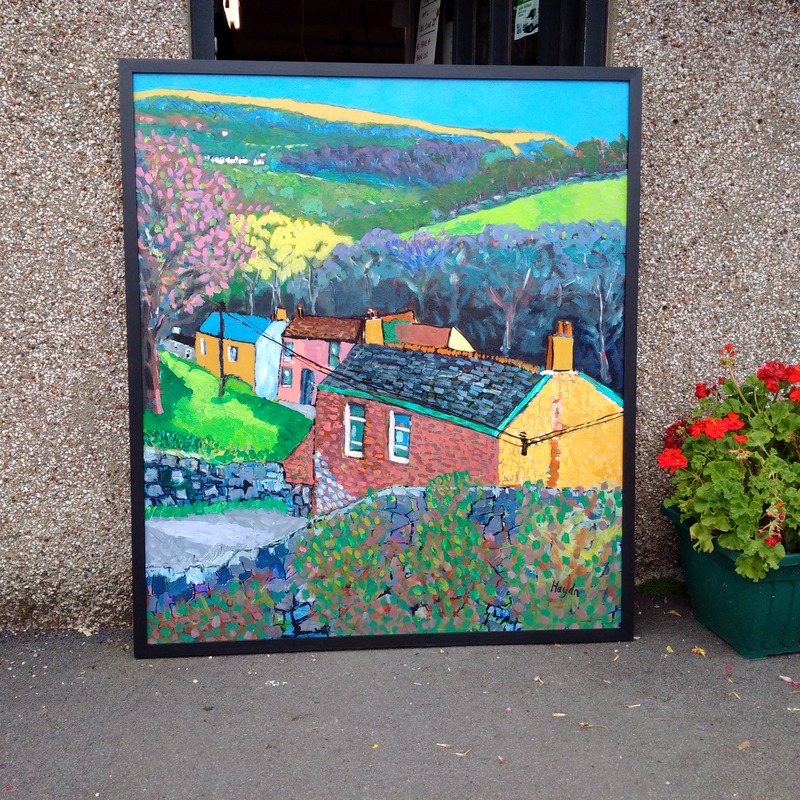 Vibrant acrylic painting of Clydach. Flat top pine frame painted black three coats. This entry was posted in ART, Exhibitions, Picture Framing. Bookmark the permalink.